Khutbah: The Whole Religion is Naseehah! 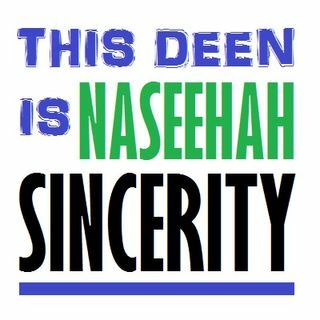 Moosaa Richardson admonishes us with this powerful reminder based on the hadeeth (which means): "The Religion is but naseeah (sincerity of purpose)..." The five essential objects of our sincerity are explained in detail. This Friday khutbah (sermon) was recorded at al-Masjid al-Awwal in Pittsburgh, Pennsylvania (USA) on 1437.07.22.